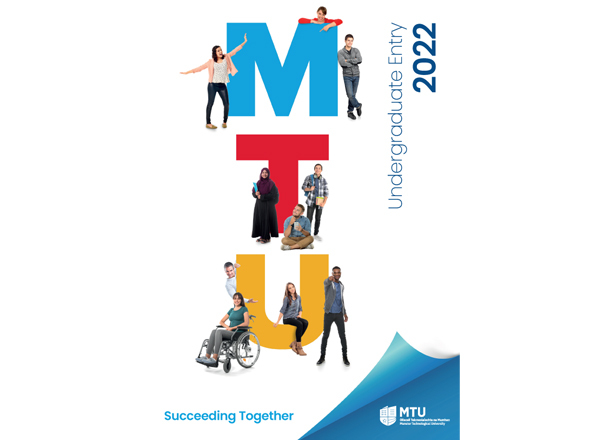 In March of each year, the Institute of Technology, Tralee, welcomes applications for add-on degree and honours degree programmes, with a commencement date of the following September. There are two applicant types each year i.e. internal students who are already registered on a programme with the IT, Tralee, and external applicants who may wish to continue the next stage of their programme of studies with the IT, Tralee. Before completing the application, please familiarise your-self with the following protocol for determining the order in which eligible candidates are offered on both the Degree and Honours Degree Programmes. The application process is open for one month, from early March to the first week in April each year (this date changes slightly due to the Easter holidays, but it is always within the first week in April). We also welcome late applications, but cannot guarantee that places will be available. Applicants who have submitted their application by the 1st of April will be given preference over late applicants. Candidates are eligible to be considered for a place on a Degree provided they achieve a pass (40%) or higher on a relevant Higher Certificate programme or an equivalent programme. Please note that a small number of programmes may have a higher entry requirement and we would ask that you familiarise yourself with these requirements. The Institute determines the number of places on each programme annually based on the budget provided by the Department of Education & Science. As there are a limited number of places on each programme of study, places are offered to eligible candidates on an order of merit basis as outlined below. Graduates of other 3rd level Institutions who are holders of a relevant Higher Certificate at Merit (1) level. ITT Graduates who have a pass certificate based on an ordered list, ranked first by the number of attempts required to attain the award or the number of attempts on which the overall average is based, and then by the overall average achieved in that award. (Note those with relevant experience will be given an increment as outlined above). Graduates of other 3rd level Institutions who have a pass certificate based on an ordered list, ranked first by the number of attempts required to attain the award or the number of attempts on which the overall average is based and then by the overall average achieved in that award. (Note those with relevant experience will be given an increment as outlined above). Please note that late applicants will be reviewed only after all of the above are completed. There is no benefit to a candidate, who has already been awarded a Higher Certificate resitting an exam to increase his/her overall average as irrespective of the overall average attained by resitting the examination(s) his/her original ranking based on the original sitting will always be superior to the ranking on the repeat examination(s). Candidates who fail the summer examinations, and who successfully sit autumn repeats, are eligible to be considered for a place. Offers are made subject to availability of places. Candidates are eligible to be considered for a place on an add-on Honours degree programme provided they are holders of a relevant Degree with an overall average of at least 40%. Graduates of other 3rd level Institutions who are holders of a relevant Degree at Merit (1) level. ITT Graduates who have a pass Degree, with an overall average of at least 40%, based on an ordered list, ranked first by the number of attempts required to attain the award or the number of attempts on which the overall average is based, and then by the overall average achieved in that award. Graduates of other 3rd level Institutions who have a pass Degree, with an overall average of at least 40%, based on an ordered list, ranked first by the number of attempts required to attain the award or the number of attempts on which the overall average is based and then by the overall average achieved in that award. Late applications will be reviewed when the above process is complete. There is no benefit to a candidate, who has already been awarded a Degree, with an overall average of at least 40%, resitting an exam to increase their overall average as irrespective of the overall average attained by re-sitting the examination(s) his/her original ranking based on the original sitting will always be superior to the ranking on the repeat examination(s). A student who has a pass Degree with an overall average of less than 40% may re-sit examinations to increase his/her overall average. These re-sit examinations may only be taken in the Summer Examination session in each academic year. Once the student attains an average of over 40% he/she is eligible to be considered for a place on the course and will be ranked as per the procedure outlined above. Offers are made subject to availability of places. As a registered student of the IT, Tralee (currently studying on year 2 of an Higher Certificate or year 3 of an Degree), you will be contacted by email in late February advising you that the applications for all Degrees and Honours Degrees will be opening in early March. You will be advised of the opening date and the process. The Institute makes offers of places on add-on Degrees and Honours Degree courses. Places are awarded on an order-of-merit basis and preference may be given to holders of a directly relevant qualification from IT, Tralee at an appropriate level (as per the eligibility rules above). The Institute cannot guarantee that all eligible candidates are offered places on their chosen course. The number of places on each course is determined annually by the Institute.